Sinkevich's personal emphasis is on knives that incorporate intelligent design, state-of-the-art materials, and have a strong emphasis on quality fit and finish. That made him a natural fit with Kershaw and their own dedication to innovation and quality. The Nura 3.5 features Kershaw's KVT ball-bearing system for super smooth, easy opening without a mechanical assist and minimal effort. Instead, the user pulls back on a flipper and the blade moves out of the handle quickly and easily. The key is a washer with caged ball bearings that surrounds the pivot and makes opening the knife nearly frictionless. The Nura 3.5 handle design has a sleek, streamlined look and feel. 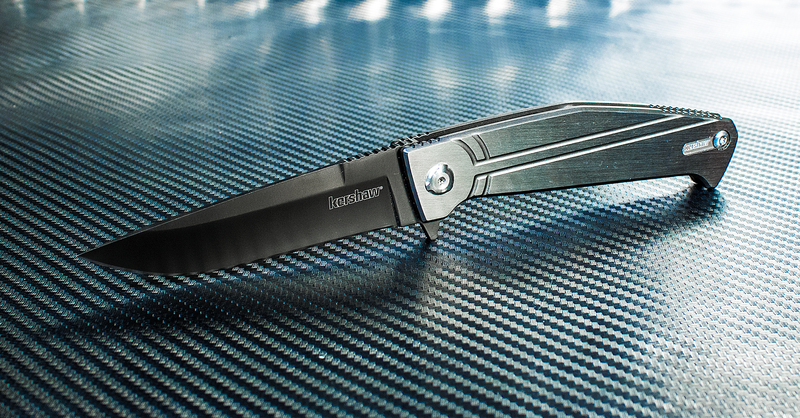 The blade is quality stainless steel, heat treated to Kershaw's demanding specifications to bring out the best qualities in the steel, then titanium carbo-nitride coated for additional protection and performance. The slim handle is made of stainless steel with machined grooves that provide style and extra grip. The handle is titanium carbo-nitride coated, then sanded to reveal a shiny steel surface. 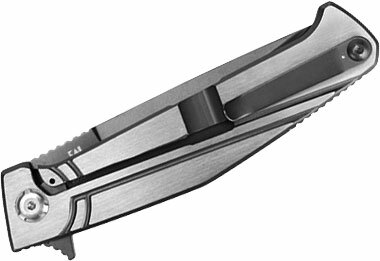 A frame lock provides blade lockup security. Good knife, not great, but inexpensive. I really like the design. Feels good in your hand, its a great size. It sounds like they have problems making a consistant flipping action. On mine the closed detent is weak, therefore it won't flip with enough force to get the blade all the way to lock. I will probably tune it, but being a flipper, it should probably work when you get it. I previously ordered one of these used from amazon and it had so much blade play it was probably dangerous. I think someone tried to tune that one too much. I returned it the same day I got it. All in all, this knife is a good value, just know that it might need to be tweaked to be a good functioning flipper. Oh yeah, it did come very sharp. They seem to have no problems in that area. 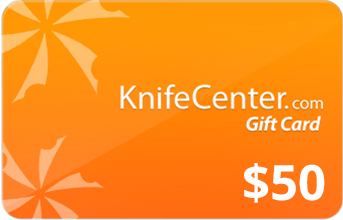 Thank you Knife Center for a daily carry that does it all and all perfectly and reliably. One hand deploy to open that UPS shipment while keeping everything else from falling. Easy, non-obtrusive carry that you can count on for speed and dependability. 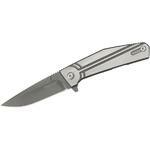 Hey, I wanted to share "Kershaw 4035TIKVT Nura 3.5 Flipper Folder 3.5 inch Plain Blade, Stainless Steel Handles" with you from KnifeCenter.